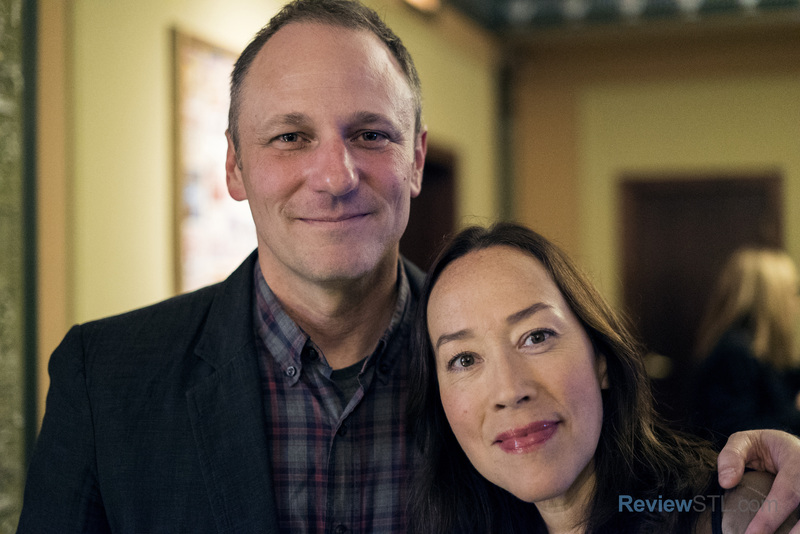 Director Karyn Kusama and her husband / writing partner Phil Hay have a new film opening in St. Louis today. DESTROYER stars Nicole Kidman as a detective who we watch trace her past as she tries to solve a murder. It’s a career best for the nearly unrecognizable Kidman. 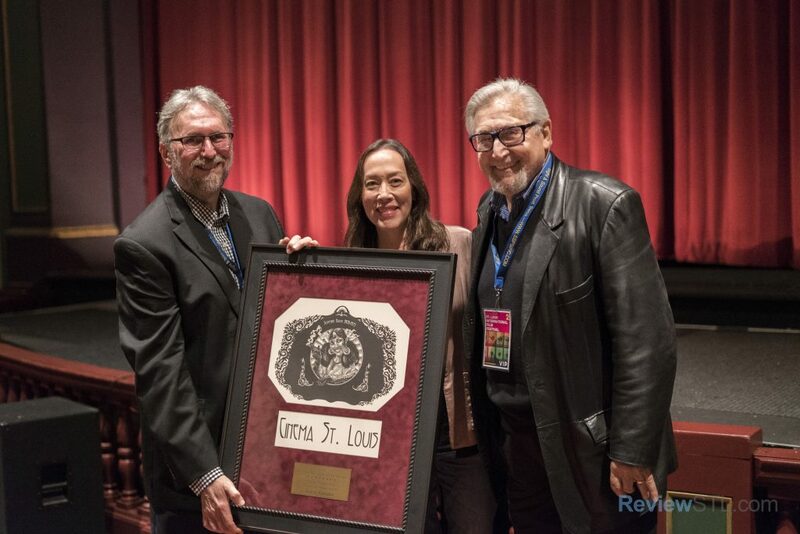 Kusama traveled with Hay to her home town last November to receive the Charles Guggenheim Cinema St. Louis Award at the 27th Annual St. Louis International Film Festival. The two met at the Sundance Film Festival in 2000, and started working together on the film ÆON FLUX (which Kusama directed) in 2003. Film critic Dan Buffa from KSDK drew comparisons to Michael Mann films upon seeing the film. Hay and his writing partner Matt Manfredi have been working together for over twenty years on films like CRAZY/BEAUTIFUL, THE TUXEDO, CLASH OF THE TITANS, and RIDE ALONG among several others. 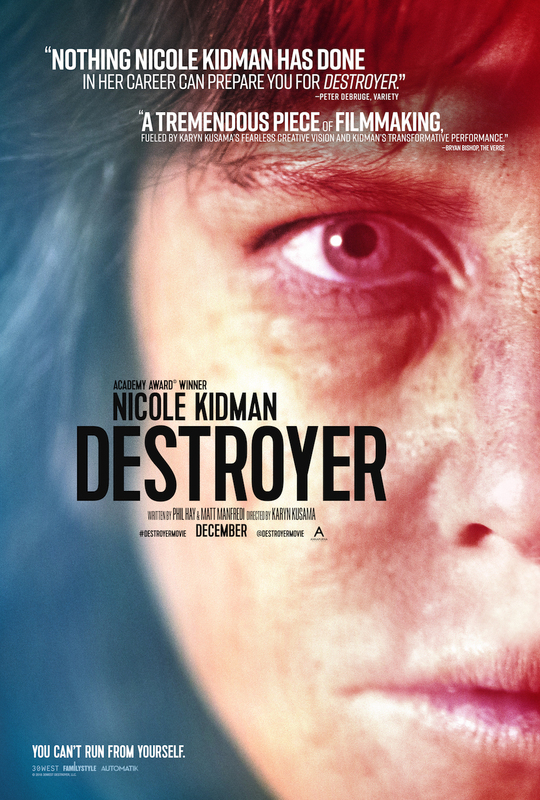 In the case of DESTROYER, which is told through a series of flashbacks, Hay and Manfredi worked closely with the director on crafting the story. Hay says that the story wasn’t always necessarily going to be centered around a female detective, but everything fell into place once he started writing. 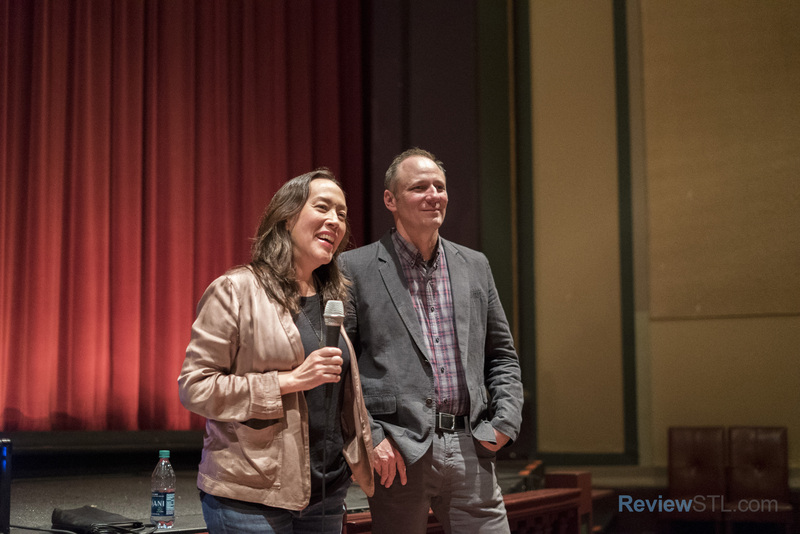 The director said her instincts instantly steered her in the right direction. Last month, Nicole Kidman was nominated for the Golden Globe for Best Actress in a Motion Picture – Drama. Although the Academy Award nominations aren’t out yet, I wouldn’t be surprised if she ends up there as well for her incredible performance. See DESTROYER today in theaters nationwide. In St. Louis, the film is playing at Landmark’s Tivoli and Plaza Frontenac Cinema.